Unified Service Assurance – 21st Century Problems need 21st Century Solutions, Service Assurance is a problem facing a lot of industries now – how to deliver, measure, monitor and report on the services they provide. Legacy Frameworks are overly complex and costly. They have been developed by integrating point solutions from the late 90’s and the early part of this century. These frameworks cannot easily monitor critical services end to end across the IT infrastructure. A Unified Service Assurance solution was needed to overcome these complexity and cost problems and deliver the required service monitoring capabilities. 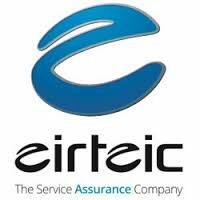 Eirteic provide a next generation, service assurance solution that unifies fault, performance, topology, and service level management in a single scalable platform. With our solutions, you can drive IT and OSS transformation to service-oriented operations and accelerate delivery of new services to increase revenue, while consolidating disparate and legacy tools to significantly reduce operations costs. A unified platform simplifies infrastructure and service complexities by normalizing device, fault, performance, topology, service logic and rules, and component relationships in a single data repository. A unified presentation engine provides the information each user deems most critical through customizable reports, dashboards, and portals. This enables a proactive and role-based management model that encompasses infrastructure, business service, and customer experience in a single unified service assurance solution. Your Service Assurance requirements within a single platform not legacy framework; which provides end-to-end visibility of complex and converged services in a single pane of glass. Your upgrades and administration by implementing a single code set service assurance solution. Your business to roll out management of new services quickly and efficiently.